Yesterday, December 3, SpaceX successfully launched the Spaceflight SSO-A “Small Satellite Express” mission. The mission put 64 satellites representing 34 organizations into orbit using a Falcon 9 launch vehicle, including 15 microsats and 49 cubesats. The SpaceX Falcon 9 took off at 1:34 p.m. ET from California’s Vandenberg Air Force Base. 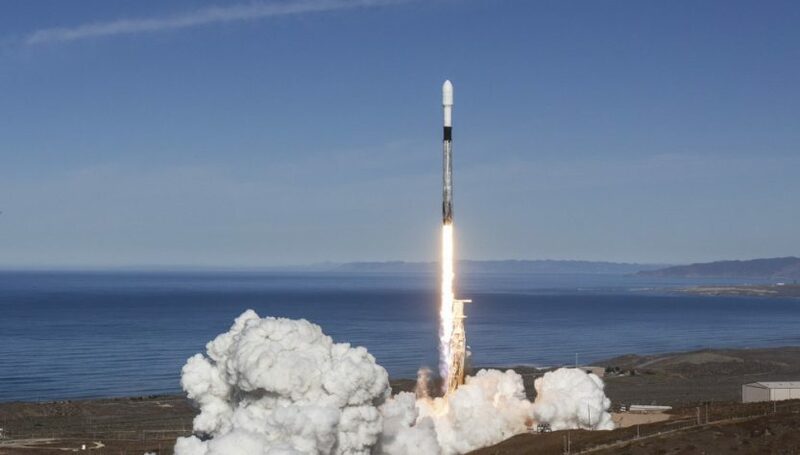 Tuesday’s launch used a SpaceX Block v5.0 first stage which had previously flown twice before, marking the first time SpaceX had used a first stage three times. After launch, the first stage successfully landed onboard a drone ship in the Pacific. SpaceX hopes to get up to 10 uses with “minimal” refurbishment from its latest Block v5.0 first stages. All satellites were successfully deployed and many of the operators have established communications with their in-orbit hardware. BlackSky, Capella Space, Fleet Space Technology, HawkEye 360, Hiber Global, ICEYE, and Planet are among the firms that have successfully contacted their new satellites. Space IT Bridge plans updated information later this week as we confirm the status of other satellites and will likely provide it broken down on satellite/service type of IoT and imaging/RF.